Are you looking for the best free hit counters? 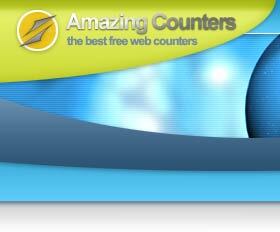 It all depends on what you are looking for, but there are many reasons why you might find that AmazingCounters.com is the best free web counter service available. Unique Styles - We have the most unique hit counter styles. With hundreds of exclusive styles you won't find anywhere else, Amazing Counters leads the Internet in original web counters. We have the styles to match just about any web page design, and give your page that extra graphical zing to make it stand out. Speed and Reliability - Our service runs on powerful dedicated servers, each having professional Intel dual core processors, piles of memory and multiple hard disks. With our custom architecture and efficient databases, you have a fast counter you can depend on. Traffic History - Our clear, concise charts and traffic history tables make it easy to analyze how your site is doing. Many free web counters don't provide any statistics. Those that do, often have so much data that really doesn't matter, that it is hard to get the basic, important information. Spam - Free - When you sign up for us, you don't have to worry about us sending you any spam mail or providing your email address to anyone else. We do not send spam, and we never have. We do not even sell overall statistics and information that could be mined from our data, as other services do. 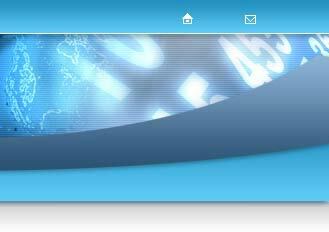 Our service also does not have any viruses or spyware, nor does it cause any popups or banner ads on your site.